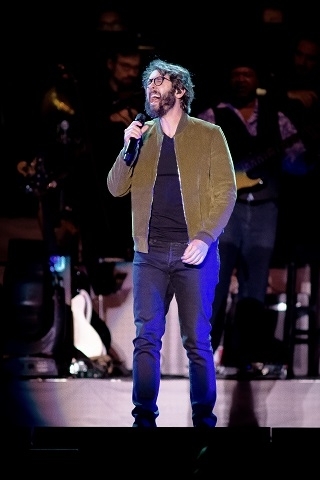 When I heard this show announced, I knew I had to check this one out, as I have been a huge fan of Idina Menzel for years and have heard Josh Groban is an amazing performer. Idina had the task of opening the show, and she did so in big fashion by kicking the night off with one of my favorites from her solo career, “I Stand.” She immediately tore into her musical repertoire with “The Wizard and I” from Wicked, a cover of Barbara Streisand’s “Don’t Rain On My Parade,” and then a cool duo medley of “Dear Prudence” from The Beatles and “Do You Want To Build A Snowman” from Frozen. Several other tracks dotted her portion of the evening. including “Extraordinary’ from her last studio release and a great cover of “I Melt with You” before leading into “Let It Go.” After a couple more tracks, she closed down her portion of the show with arguably the three biggest songs from her Tony-award winning career – “No Day But Today,” “For Good,” and the show stopping “Defying Gravity.” After this performance, I wasn’t sure what would happen next or how Groban would top it. 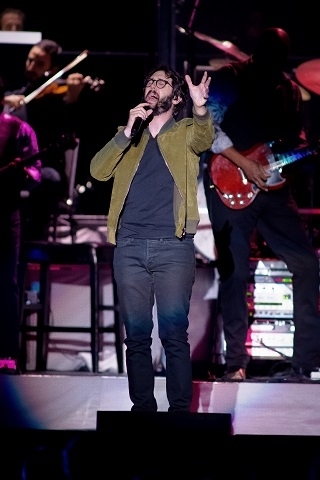 After a short set changeover, Josh Groban’s band / orchestra was in place and the packed Detroit venue couldn’t wait for the headliner to take his place as center stage. 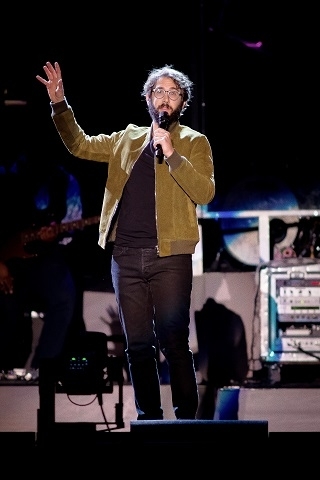 I cannot hold myself out as a huge fan or someone who is knowledgeable regarding the performers catalog, but after the first couple numbers – “Bigger Than Us” and “You Are Loved (Don’t Give Up)” I wonder why I hadn’t been more aware sooner. 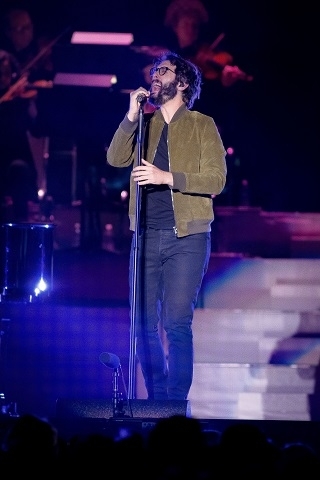 Josh’d voice is amazing and carried well in a large venue over a strong accompaniment. 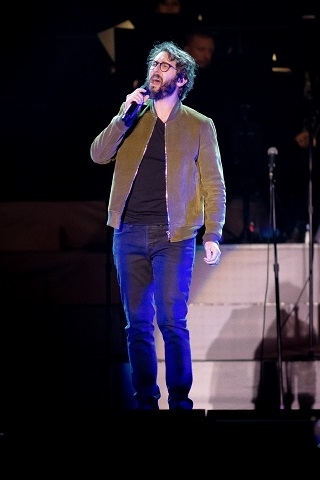 He controlled the ebb and flow of the show with songs and banter that invited you in and made it seem as if he were addressing a small group of friends… not an arena full of people. 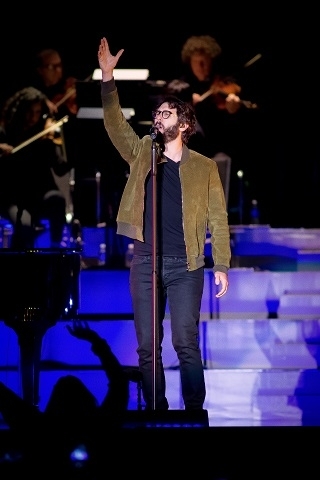 After more songs from his discography, he jumped into Billy Joel’s “She’s Always a Woman” before inviting Idina to join him for a couple songs – “Lullaby” and “Falling Slowly.” After this, I waited through the rest of the show for the two songs of his I am familiar with and he didn’t disappoint as he brought the show near its end with “You Raise Me Up” and “To Where You Are” before closing the show with “Bridge Over Troubled Water.” This show was a killer one-two punch with a long time favorite and a new addition to my musical collection at home. Be sure to check out this tour or either of these performers if they announce a show near you!